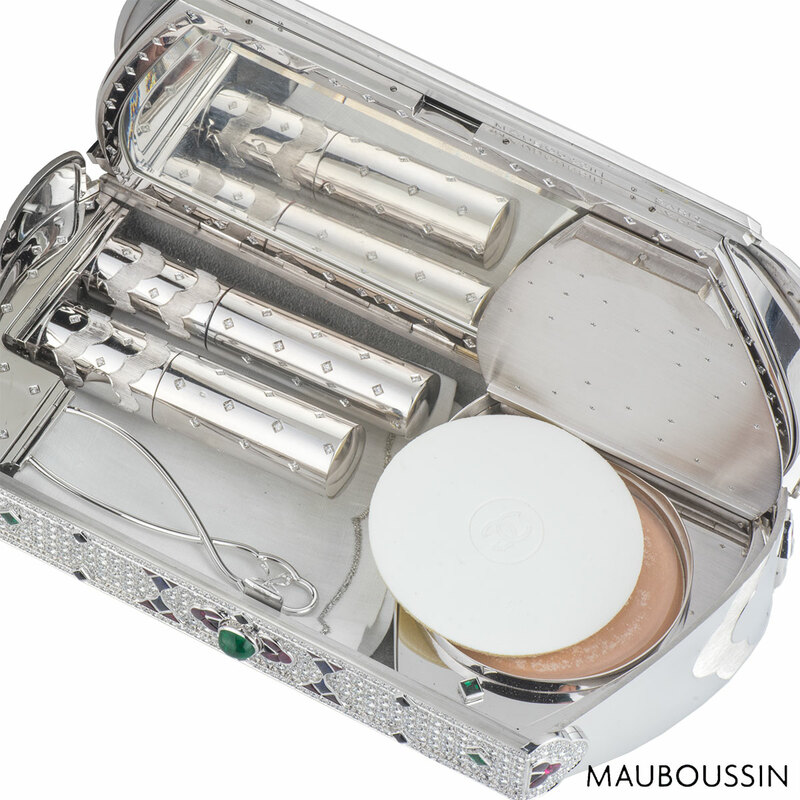 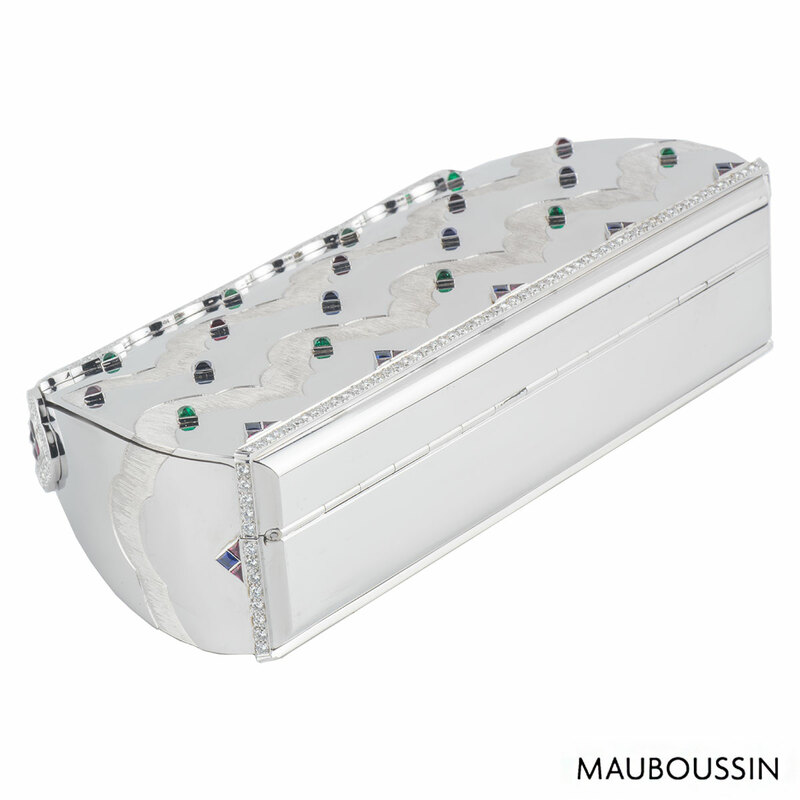 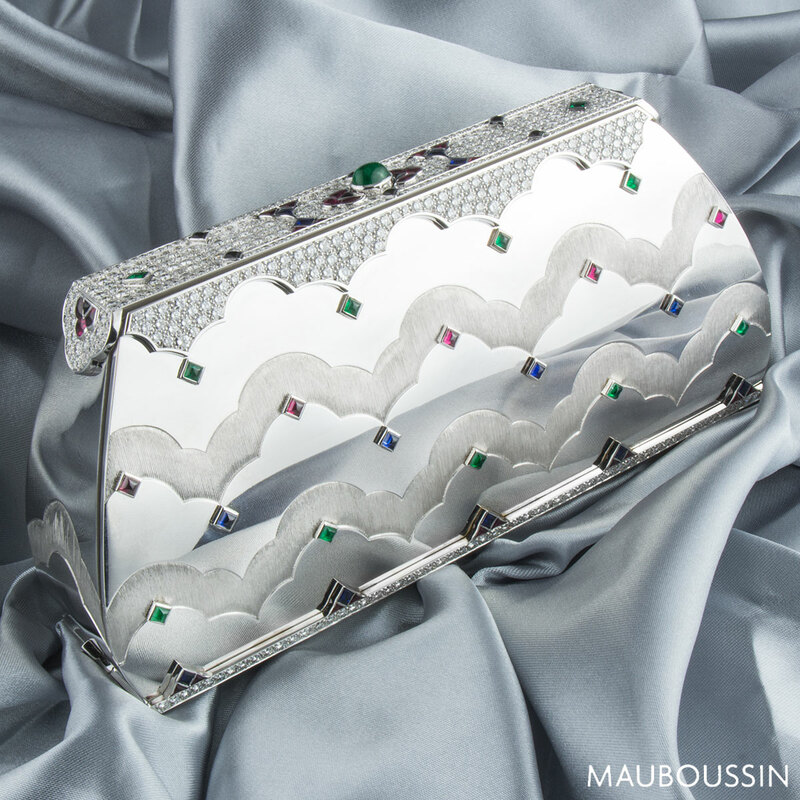 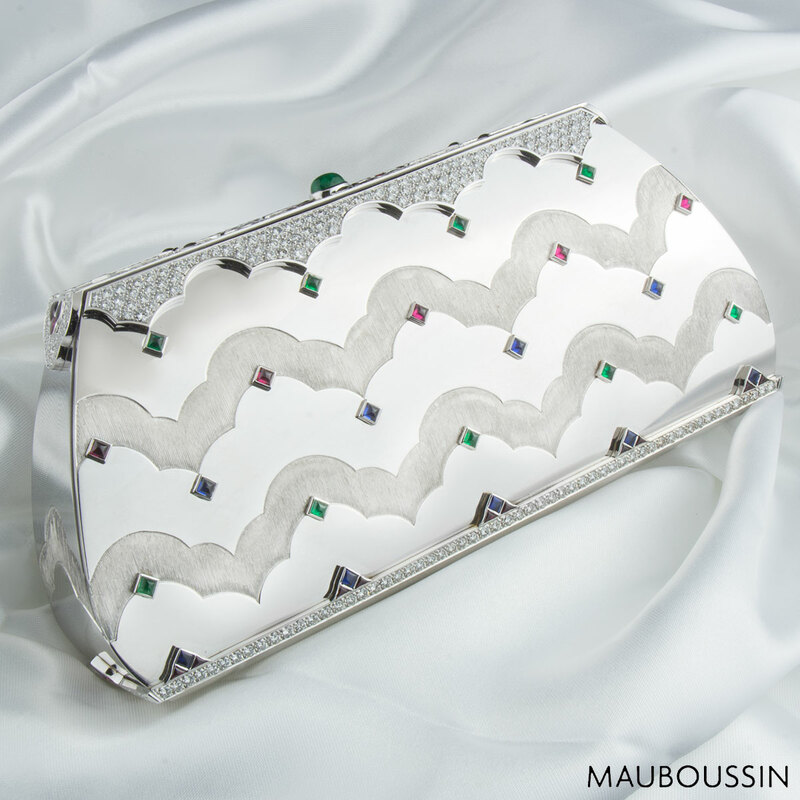 A unique 18k white gold Mauboussin multi-gemstone clutch bag. 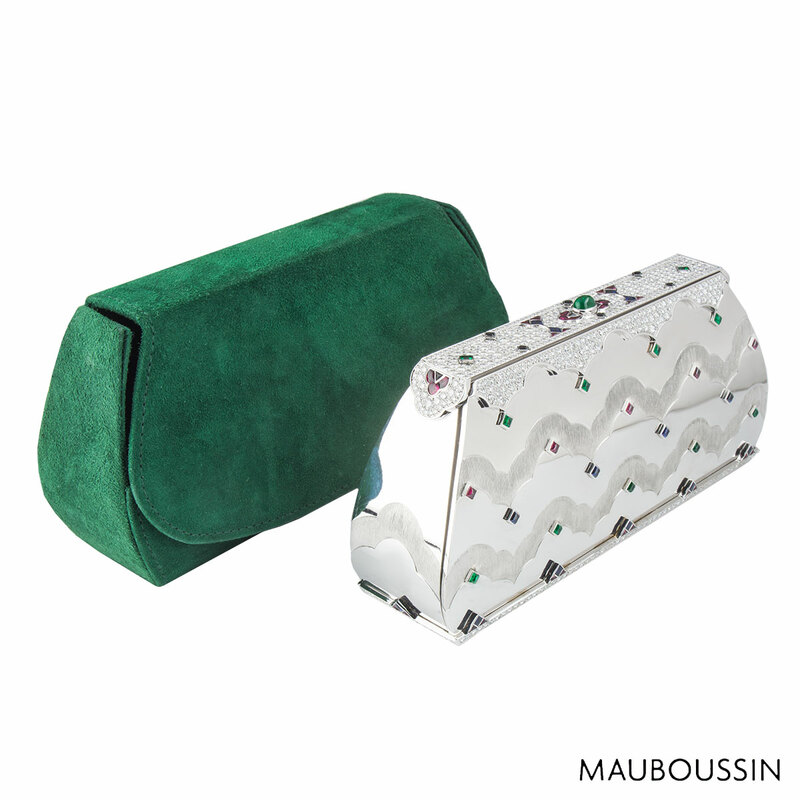 The clutch comprises of princess cabochon cut green tourmalines, sapphires and rubies placed evenly on the front and back. 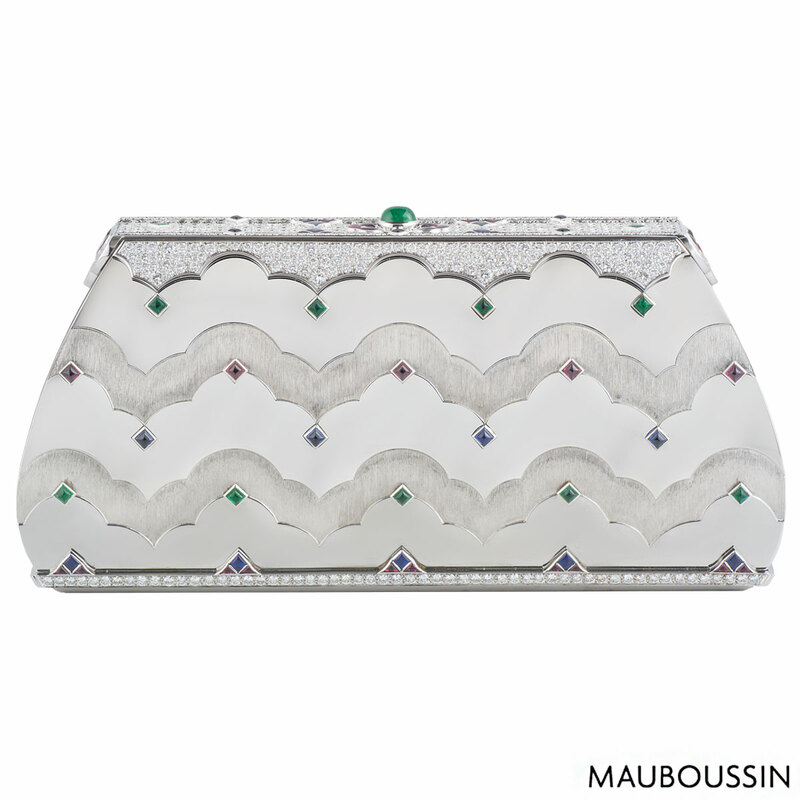 There are diamonds set in a pave setting around the top and base of the clutch. 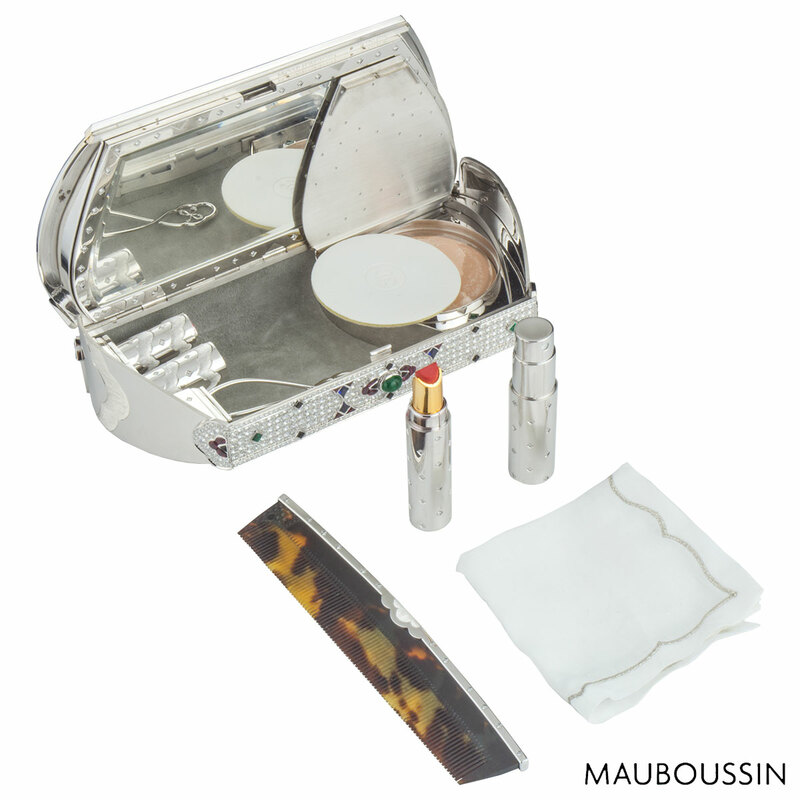 Inside the clutch Mauboussin has designed a ladies essential bag including mini perfume bottle, Chanel lipstick, Chanel powder, a mirror, a tortoise shell comb and a lever hinged motif to place tissues. 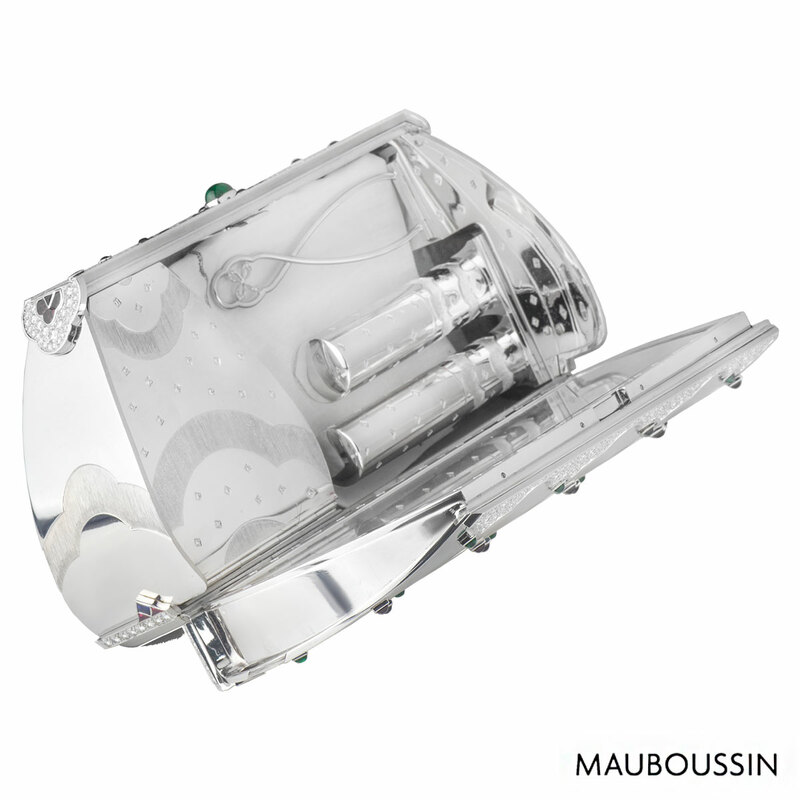 There are diamonds set within the clutch in a 4 claw setting. 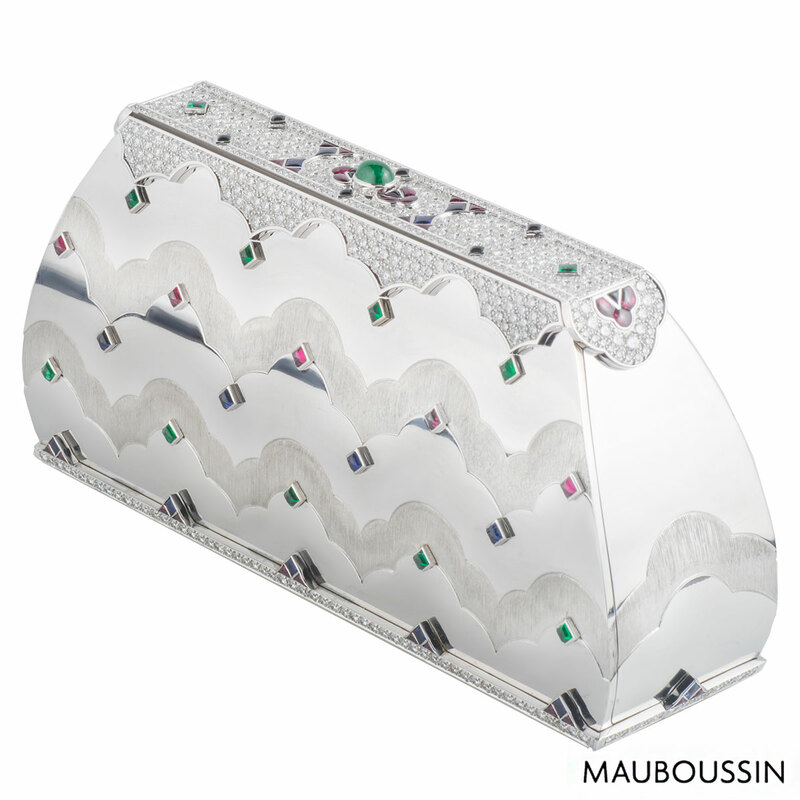 The diamonds have a total approximate weight of 23.00ct, G colour and VS clarity. 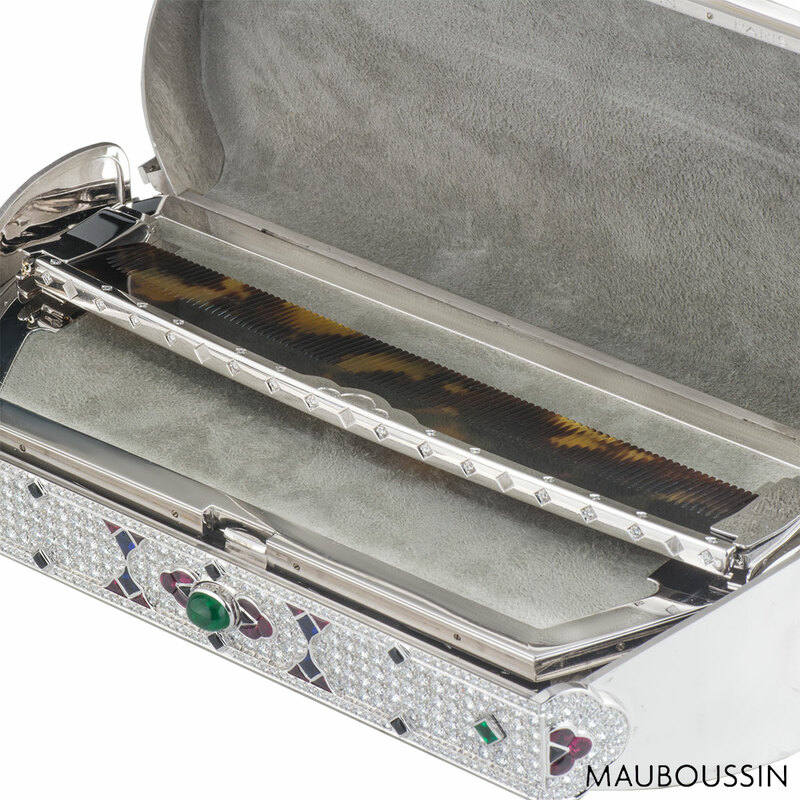 The rubies have a total weight of approximately 4.06ct, with a red hue throughout. 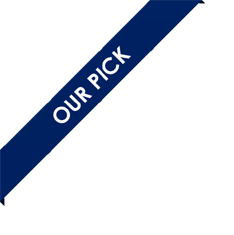 The sapphires have a total weight of approximately 3.40ct and a deep blue hue throughout and the chrysophrase has a total weight of 3.85ct. 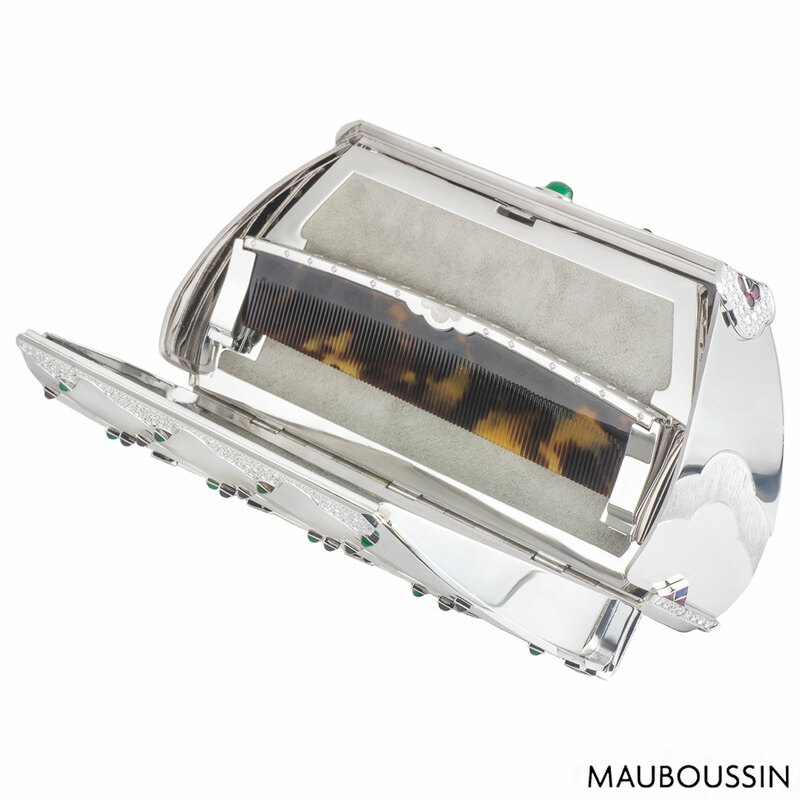 There is onyx on the top of the clutch with a total weight of 0.64ct. 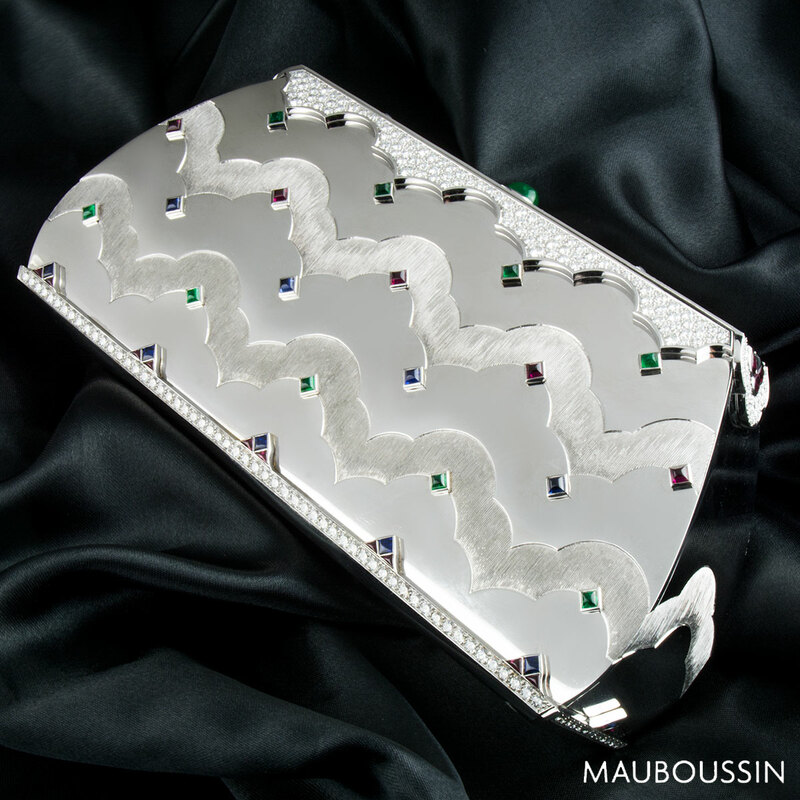 The clutch bag comes complete with a pouch and our own certificate of authenticity.